The only real way I can give this article the context it deserves is to write it from the first person...... Hi! My name is Kara and I help out with the marketing of the Whistler Farmers Market. I once too was a Whistler Farmers Market vendor. My small business, Caveman Grocer was a faithful vendor that attended both Wednesday and Sunday markets. I even served on the Whistler Farmers Market board for almost 4 years. I've seen first-hand the massive impact the market has had on our local business community. Businesses here are given a stage that they might not otherwise have. It's an opportunity to get a product to market, test it and find out first hand whether people are interested in buying your product. Instead of just bragging about our little market that could, I figured it best to showcase the businesses that have started at the Whistler Farmers Market and have hit it out of the park. The lineups out the door will give you the first clue that this is the spot to grab a sweet treat in Whistler. Their founding story is a simple one we love to tell! Nonna Pia's (more on them down below) needed fresh bread so their customers could taste their balsamic reductions. Their friends, Mark and Paula, were known to bake a serious loaf of bread. Nonna Pia's had so many people wanting the bread, mark and Paula were encouraged to get a booth at the Whistler Farmers Market. The growing business now boasts 2 locations in Whistler and one in Gastown, Vancouver. 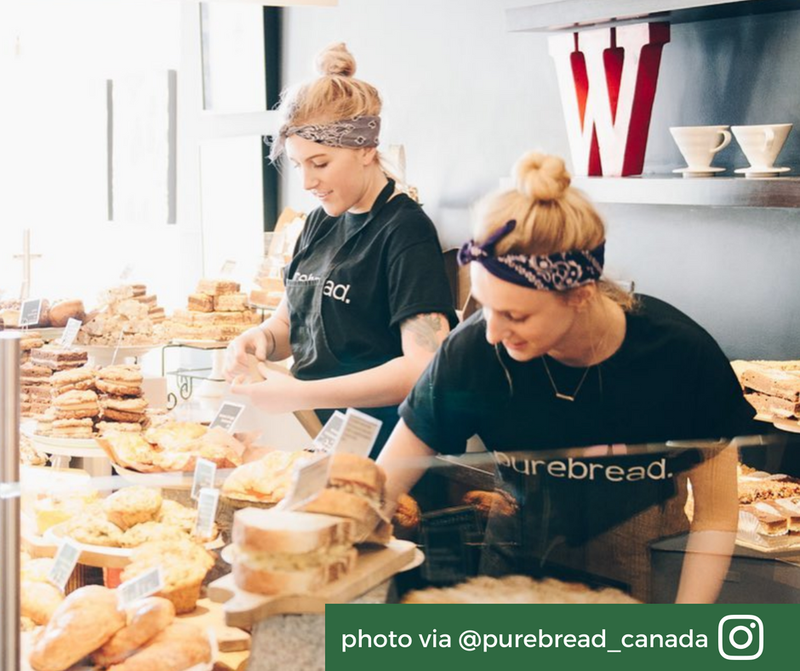 Do yourself a favour when you stop by Purebread and don't limit yourself to just one treat. Whether it's savoury or sweet, they have you covered. Does it get any better than being featured on Dragon's Den and getting the cash? 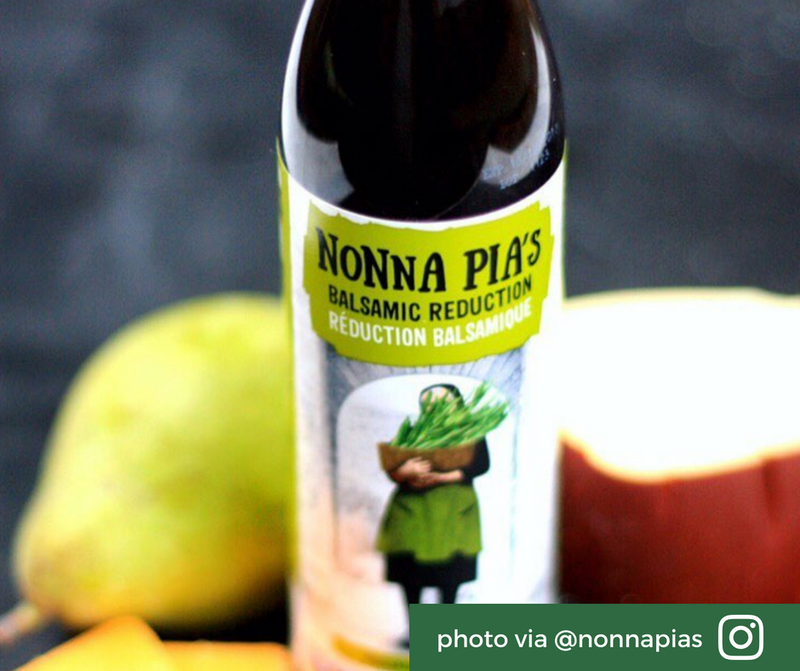 Norm and Natasha, the couple behind the successful biz knew they had a winning product when their family recipe was a big hit within their inner circle. After much encouragement, they threw their hat in the ring and made a go of it by showcasing their balsamic reductions at the Whistler Farmers Market. Their product is now featured in over 1600 stores across North America, and it's all produced right here in Whistler, BC! What an incredible journey these two have been on. Get their full story here. 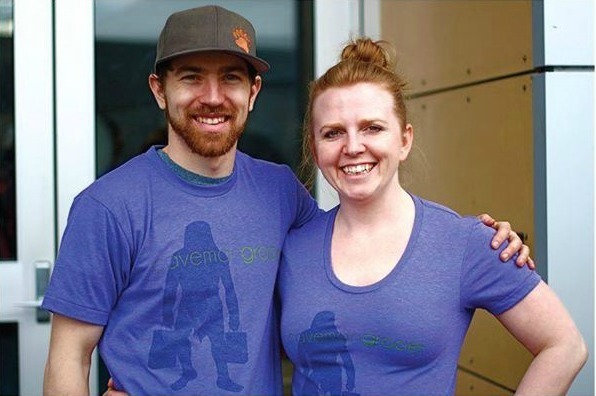 Andrew and Kerri, the super passionate duo behind the all organic farm in Pemberton, BC started off a little while ago with just a few Wednesday markets, selling leafy greens to now, a show-stopping booth with all the veggies! They come fully packed each week and also run a very successful CSA program that sold out for 2018! You can find out more about these passionate farmers here. Patricia started selling her pies at the Whistler Farmers Market back in 2002! She started off in a commercial kitchen in Squamish. Her booth at the Whistler Farmers Market became so successful that they opened up their own bakery in Squamish and turned it into a full-time family business! Their pocket pies are a true staple of the Whistler Farmers Market. 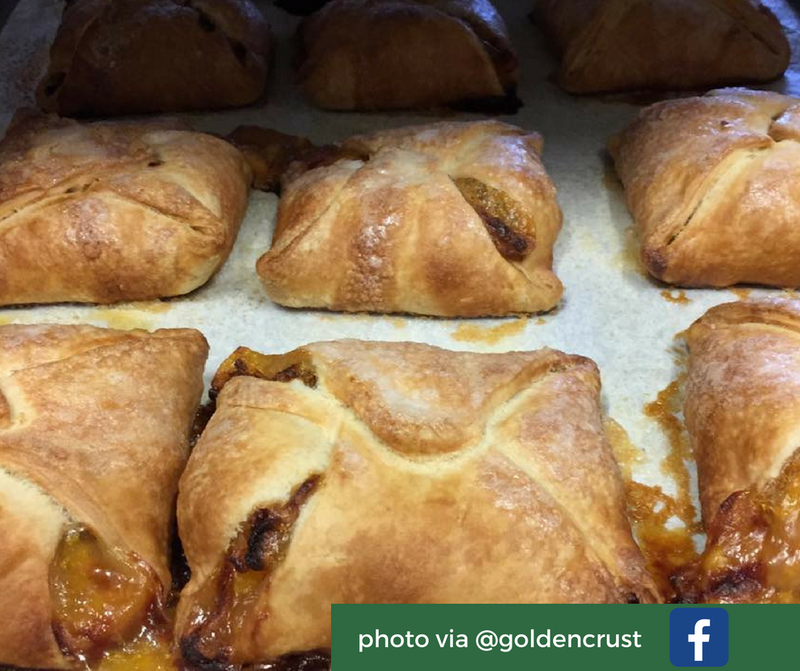 Check them out for their famous pocket pies or take home a pie for the whole family. You can get the full story and list of products here. 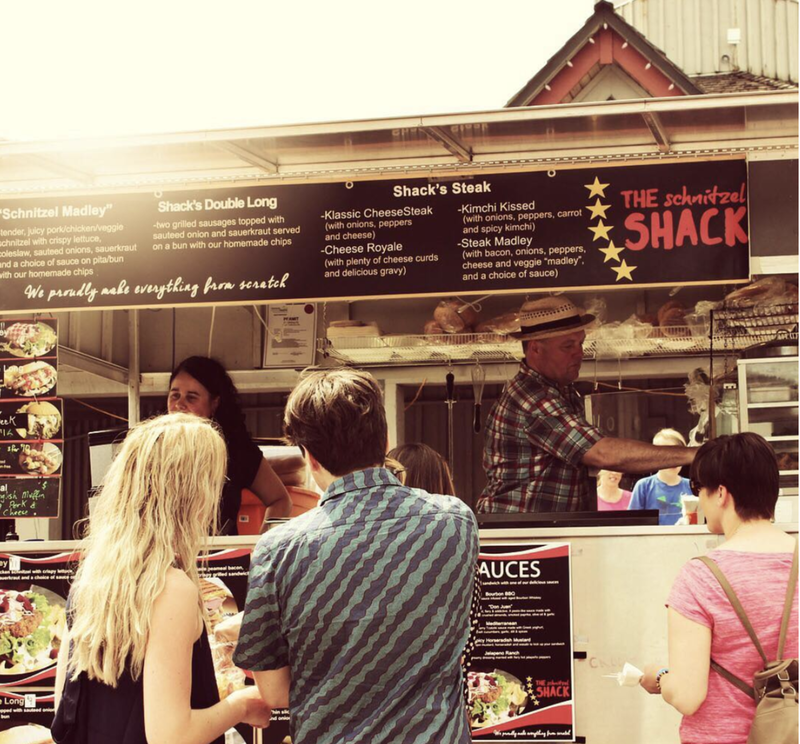 Mihaela and Bruce started with just a small trailer that featured cabbage rolls and tasty meatballs on a stick. Their European style food was a crowd pleaser and they showcased their skills each week at the market. They have been slowly building their empire over the last few years which now includes a food truck, a European bistro called Lil Chef Bistro, and are killing it in the catering game all over the Sea to Sky and North Shore. We're really excited to see what Mihaela and Bruce come up with next! The entire idea of this piece became quite clear that it was something I had to write about. A massive part of what got our business off the ground was having a platform like the Whistler Farmers Market. A huge statement, isn't it? Well, it's true. We had started our business back in June of 2012 and attended our very first farmers market on a balmy hot Wednesday, selling raw paleo chocolate. It was a complete and utter disaster! I'm pretty sure the only people who bought our chocolates were friends and people who felt bad for us (the distress on my face was quite clear). Fast forward to now, we're a 7 figure e-commerce brand that delivers ready-made meals all over the Sea to Sky and Lower Mainland of BC. Last year we even won the rising star of Whistler, awarded by the Whistler Chamber of Commerce. What a crazy road it's been! I know without a doubt that without the push to get involved from the market manager, Chris Quinlan, and the success of the Farmers Market, we wouldn't be where we are today. The market gives an opportunity to entrepreneurs in the Sea to Sky to see what sells, how it sells, what price point to sell it at and how the general public receives the product. You can do it all with minimal capital investment and pivot as you need until you find the winning path. So thank you Whistler Farmers Market! Excited to see what businesses come over the next while! Newer PostWhat to do with garlic scapes?